to deliver on growing patient expectations. for all ages and technical ranges. providing a full end to end solution. 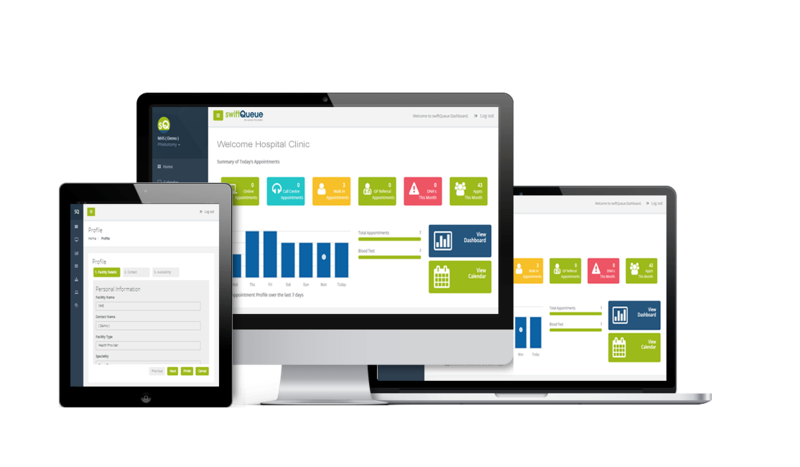 Swiftqueue provides easy to use efficient solutions to manage clinic workflows and KPI's built on years of healthcare staff feedback & best practices. Reduce administration and data entry errors through easy to use patient self check in and validation of patient and appointment information. Keeping your data secure is our number one priority. Our hosted centres are certified ISO27001 and comply with NHS Information Governance standards. 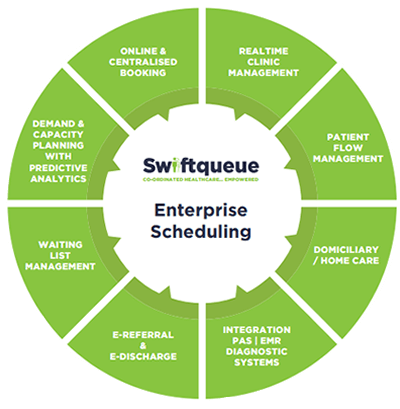 Swiftqueue provides a market leading patient portal, where patients can view, reschedule, cancel appointments and view specific results. Growing demand... higher expectations... more patient interactions. Delivering an all round greater personal experience.